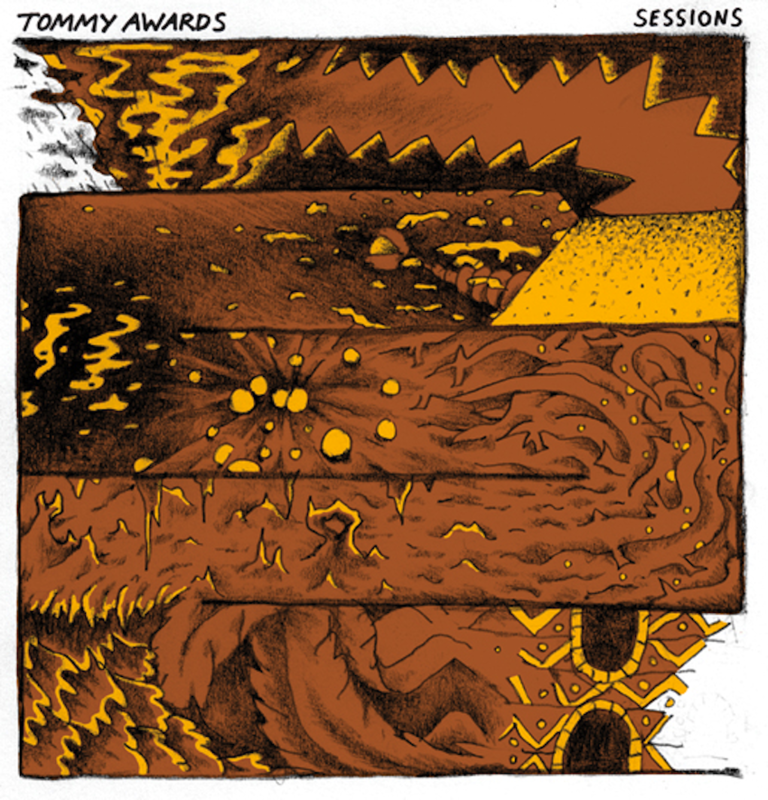 Four untitled tracks from Stockholm duo, Tommy Awards, that began as a live jam for Made Like A Tree, released on Nuearth Kitchen`s more reclined sister, Nuearth Conservatory; both labels run by Jeremy Grant and Cody Morrison out of L.A. and Seattle. With two previous E.P.s on Craig Bratley`s Magic Feet, that by turns painted a mid-Western desert of the Stones and Califone, then paid homage to New Order, The Cure, a Café del Mar classic by Bombay Hotel and Hot Toddy`s “Summer Daze”, only the hypnotic Raga of “Little Man” really hinted at what was to come. Suspense falls like rain. A pizzicato pulse quickens, and tablas rattle, in an edgy gothic cobbled dark. Twin Peaks tremolos cry. A lonesome whistle blows. Jarmusch`s “Dead Man”. Young`s “Dead Man”. Images cut back and forth, which is the present, which is the past, on a silver mirror journey. Robert Smith`s “Primary” splinters into Robin Guthrie`s reverb and shimmer. Cathedral illumination. Teardrop on the fire. Animals caught in infra-red. Sonar echoes and a cavernous bounce. Higher than the sun delay in relay. Cosmic effervescence. A cyclical vibration, a temir komuz (iron mouth) on the edge of Tangerine Dream`s “Zeit”. Nuel`s “Trance Mutation”. Musiccargo`s “Harmonie”. Pagan Techno. Full Moon gazing. A dawn ride home. As I watched innocence sleep, I imagined her without clothes. A sunrise of pink mountains, white sky.